Any service can provide a list of sites that may or may not contain a threat to your exams. We have the experience and expertise to deliver curated, actionable threats, and in close collaboration with you, eliminate them quickly…sometimes within minutes. You can effortlessly customize everything with us because your goals and priorities with us are unique, we tailor our services and strategies in the manner most useful to you. The relationship with our analysts is what our clients rave about most often. With Caveon you never go it alone. In addition to our team, a Senior Analyst with at least a decade of experience, will be your personal resource during your Caveon engagement. This analyst’s primary duty is to ensure your needs are being met accurately, efficiently and successfully. In addition to English we offer the web patrol services in Chinese, Korean, Tagalog, Arabic, and limited services in many other languages. Is Caveon's Web Patrol human-based or computer-automated? Both. 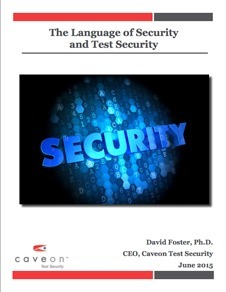 Caveon employs essential computer-automated web monitoring techniques as well as human-based monitoring in order to cover all potential threats for each individual client, time period and part of the Web. When should a testing organization be using Web Patrol? In most cases, it is recommended to use Web Patrol as long as test security is necessary. This means during the test administration, but also before and after the administration. 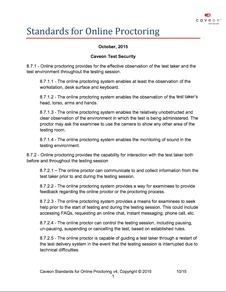 Many tests need to be monitored year-round. In some cases, Web Patrol may only be required for a period of weeks or months. How much infringing content should I expect to find? The level of infringing content found will depend on many factors. Larger, standardized tests will generally yield more results. 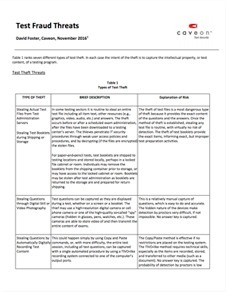 Some tests are more secure than others and will result in a different level of infringing content found. 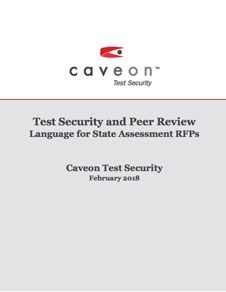 Caveon may provide a brief analysis of circulating infringing content in order to let the client know how at-risk a given test may be. Does Caveon monitor in different languages? Absolutely, Caveon currently monitors in Mandarin Chinese, Korean, Arabic. Currently these are the languages most requested by our clients. However, Caveon Web Patrol is always willing to add new languages to our monitoring efforts based on our client’s needs, budget and deadlines. How soon will my infringing content be removed? Some content can be removed as quickly as a couple of hours, other threats may take days or weeks, while others simply can’t be removed without escalating the threat to your legal department. However, we strive to provide you actionable options and help you get your content removed as quickly as possible. What legal remedies do I have to get content removed? There are several remedies you can employ to get your content removed from offending sites. However, one of the most powerful and successful is a properly constructed takedown notification letter that conforms to the provisions of the Digital Millennium Copyright Act (DMCA). You also have in your arsenal the ability to escalate a stubborn threat to your legal department for further remedies.